It’s lights out in Lorain on March 31. The town’s steel mill, site of a new electric arc furnace and $120 million investment, had given 1,200 Ohioans good middle-class jobs this time last year. But by April, a relentless avalanche of underpriced Chinese steel will have shoved all but a few of those workers into the street. The same is true of steelworkers in Granite City, Ill., Lone Star, Texas, and Gary, Ind., and aluminum workers in New Madrid, Mo., Hannibal, Ohio, and Hawesville, Ky. It’s true of glass workers and paper workers in small towns across America. The same catastrophe is slamming small towns across Europe. ArcelorMittal cited the Chinese avalanche when it closed its steel mill near Bilbao in northern Spain last month. Tata Steel cut 1,050 jobs earlier this month from its Port Talbot plant in South Wales. Two weeks ago, 5,000 steel and other workers and managers from 17 European nations gathered in Brussels to protest overwhelming, underpriced Chinese imports. China makes too much steel. And many other commodities. 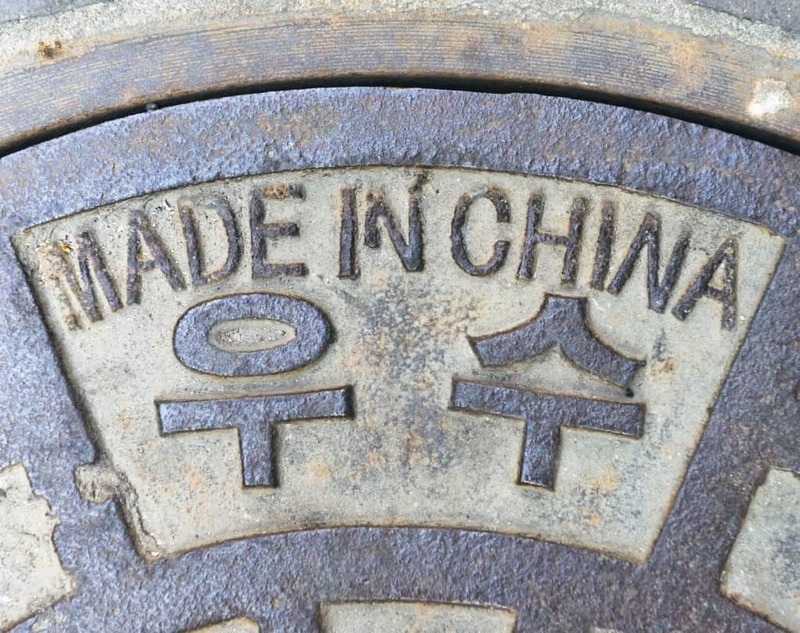 By providing government subsidies and other supports like currency manipulation that are illegal under international trade regulations, China sells those products overseas at prices below production cost, undercutting fair market manufacturers like U.S. Steel and Republic Steel in Lorain. Too much has been good for China until now. Now it wants “market economy” status in the World Trade Organization. So, suddenly, it has announced it will reduce its excessive steel production. That will cost 400,000 Chinese steelworkers their jobs. It turns out that too much is terrible for Chinese workers and Chinese towns as well. Chinese steel firms could accomplish that only with subsidies such as “loans” that don’t have to be paid back, free land and free utilities. These are not companies operating in a market economy. These are government-subsidized entities. And that’s fine if all of the products are sold domestically. But these subsidies are illegal when the products are sold overseas because the falsely underpriced products distort what is supposed to be a fair market. Chinese government interference in the international market is damaging corporations like U.S. Steel and ArcelorMittal, the largest steel company in the world. It reported a staggering loss of nearly $8 billion for 2015. U.S. Steel’s 2015 loss was $1.5 billion. That’s what Chinese steel overcapacity looks like on Wall Street. What it did to Lorain is more visceral. The steel mill is split, with Republic and U.S. Steel using parts of it. Both firms have furloughed workers over the past year. In March, U.S. Steel sent 600 home and Republic 200. In July, Republic furloughed another 125 when it had to shut down its brand new electric arc furnace. Then, on Jan. 7, Republic announced it would idle its side of the plant and lay off 200. The next day, U.S. Steel said it would virtually shut its end, laying off 261. Lights out. For Lorain workers laid off last year, unemployment benefits already have run out. “When I go to the grocery store or stop at a Kmart, normally, there would be a lot of traffic in those stores. Now it is incredibly quiet. Some clerks were folding spring clothes, and they told me they had no place to put the stuff because no one was buying the stuff from the racks from last season. No one is even going to the discount stores,” she said. As the two big employers began shuttering operations, they paid less taxes to the city and the school district. Now the city faces a huge deficit and may have to cut services and lay off workers. That would be more people without jobs. And even less taxes paid. And less clothes sold at Kmart. Then fewer people employed there. Louise’s brother owns a used car lot, and normally at this time of year, when workers get their income tax refunds, his business picks up. But he told his sister he has barely sold a car since the first of the year. In Lorain, people can’t even afford a cheap car now. And public transit isn’t going to help, she said. The USW represents Lorain’s bus drivers, so she knows the situation well. Because of the town’s budget problems, the transit system is unable to add routes. So there may be no way for a person without a car to get to a job. “I grew up here in Lorain. And I am very afraid of what is going to happen to this town and to the members of my union,” Louise said. All of it is devastating lives in Gary, Granite City, Lone Star, New Madrid, Hannibal, Hawesville, Port Talbot, Bilbao, and myriad places across the United States and Europe. And now China too. National leaders, who closed their eyes, clicked their heels and wished China were a market economy, gave workers and communities and commodity producers – not just steel companies – this disastrous result. While they kept their eyes shut, China massively overbuilt its steel capacity. China is throwing unemployed workers and bankrupted communities a bone now, saying it will reduce capacity by up to 150 million tons. That’s not nothing. And it will certainly be painful to the 400,000 Chinese steelworkers who will lose their jobs. But China’s overcapacity is 2.26 times that – 340 million tons. After 150 million tons is cut, the remaining 190 million tons of overcapacity is still way too much. The remaining overcapacity is nearly 2.5 times the 78.9 million tons produced in 2015 in the United States, the world’s fourth largest steel producer. China maintains that overcapacity with government supports and currency manipulation. Otherwise it wouldn’t exist. And those interventions in the steel industry and other industries mean that China is not a market economy. Granting China that status would make it even harder for workers and corporations to get the tariffs that are the only measures keeping some industries alive now. American and European workers have known for a long time that Chinese overcapacity is terrible. Now, unfortunately, Chinese workers also will soon find out that too much is terrible. But that limited and calculated ploy by China does not justify granting market economy status to a clearly non-market economy.